The most obvious choice is Riordan's second series, Heroes of Olympus. The story continues from the first series, but with a twist. This series takes on the Roman interpretation of the gods of Olympus and introduces new demi-gods born from the gods' Roman identities who have their own camp named Camp Jupiter. Percy and his friends are in this series as well. 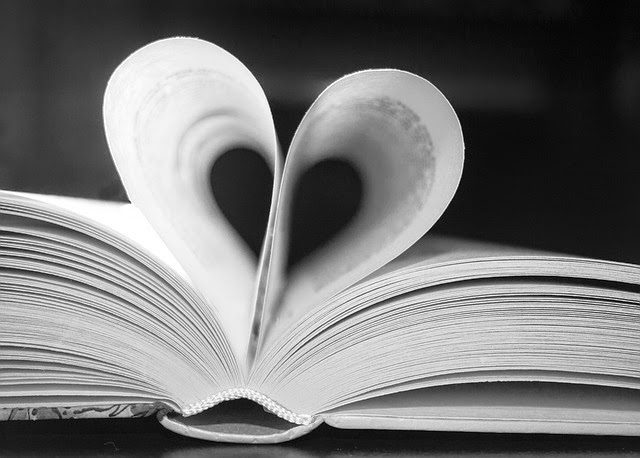 If you've already read the second series and love all the characters, then good news! The first book of a third series called The Hidden Oracle will be released on May 3, 2016! 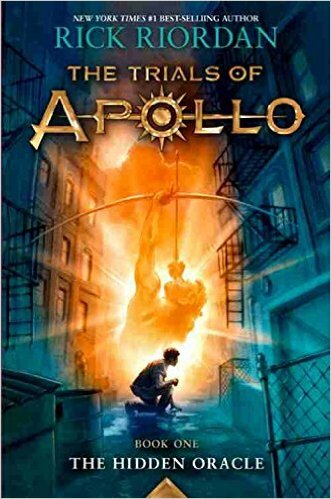 The Trials of Apollo series will follow the life of Apollo after being kicked out of Olympus and made mortal by Zeus and will feature most of the characters from the first two series. 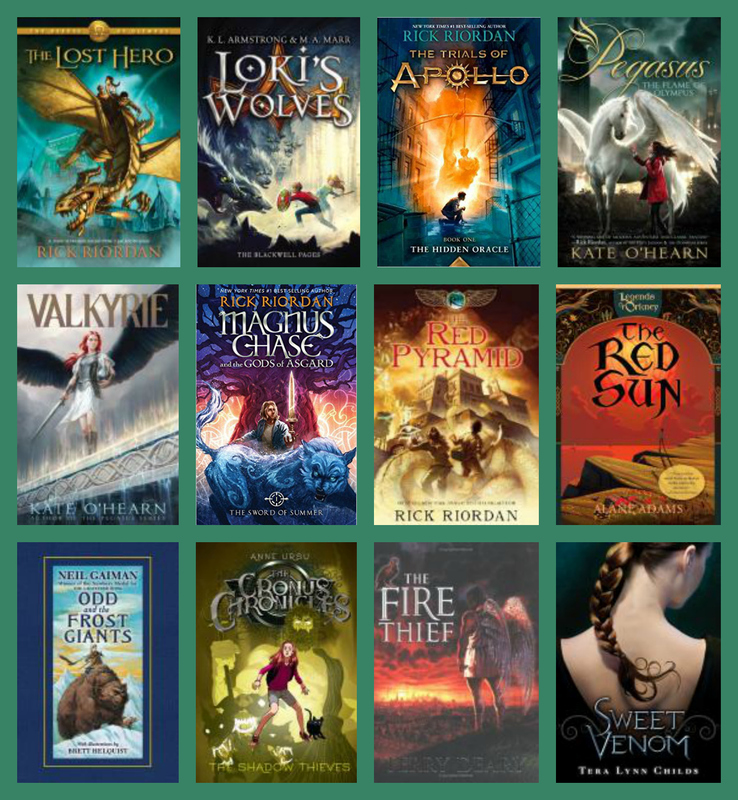 In addition to the Percy Jackson novels, there are also all the companion books, non-fiction mythology books, and graphic novel versions that Rick Riordan has published as well. Riordan also has a relatively new series based on Norse mythology, with a loose connection to Percy Jackson. The first book in the Magnus Chase and the Gods of Asgard series, The Sword Of Summer, was released last fall. 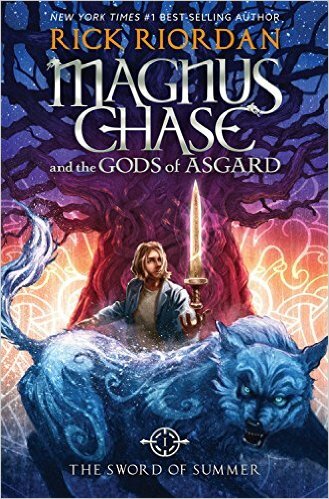 This series features young Magnus Chase, the cousin of Annabeth Chase, who discovers he is the son of the Norse god, Frey. The second book of the series, The Hammer of Thor, is due to be released in October, 2016. And that brings us to the remaining Riordan series, The Kane Chronicles, based in Egyptian mythology. This series features Sadie and Carter Kane, descendants of pharaohs, who have been raised apart but discover they must unite to battle the evil god Set and save the world. Now, moving on to other authors, we have Kate O'Hearn's Pegasus series. This is another fantasy/adventure in which a seemingly ordinary tween/teen finds out they have a connection to the gods, in this case the Roman gods of Olympus. The series begins with an injured Pegasus crashing onto the roof of Emily's apartment in The Flame Of Olympus, changing her life forever and putting her in the middle of a battle to save Olympus. Red Sun is the first book of new author Alane Adams' series, The Legends of Orkney, based on Norse mythology. In the first book, young Sam Baron's normal life takes a strange turn as he discovers his mother is a witch, his missing father is a descendant of Odin, and he must return to the magical realm of Orkney to stop it's destruction by the curse of the red sun. This is a little shorter and a little darker than Riordan's The Sword of Summer, and does not have the same character and plot development or humor. The second book, Kalifus Rising, is due out in September of 2016. The Blackwell Pages by K. L. Armstrong and M. A. Marr is another adventure series based in Norse mythology featuring young teens that are descendants of the gods; Matt Thorsen is a descendant of Thor, while Fen and Laurie Brekke are descended from Loki. The difference in this series is that most of characters know all along that they are the descendants of the gods and that they have special powers, they just don't expect to be called up to unite and work together to save the world from destruction in Ragnarok. I find this series to be more similar to Riordan's style than the Orkney series by Adams. Another unique thing about this series is that there are illustrations, which might make it more appealing to reluctant readers. The first book is titled Loki's Wolves. Kate O'Hearn also has a series based in Norse mythology called Valkyrie, the story of young Freya, who does not look forward to turning 14 and beginning her duties as a Valkyrie, or Battle Maiden, reaper of the souls of the brave who die in battle. On her first mission, a dying soldier who's last words send her to earth on a dangerous quest, where she learns what it is to be human. And remember, to read more about the original mythologies, try the non-fiction section at your public library in the 291's & 292's.